I have to confess that I have never been a great fan of pressure charging. As someone who grew up with aspirated engines, supercharging, or turbocharging, engines almost seems like cheating. Pressure charged engines, especially turbos, are also much more stressful to map. I do them all the same. Craig Jamison runs his turbo Sierra Cosworth in Classic Touring Car races and I first mapped the car at the beginning of the '09 season. Craig obviously is doing something right because he won the championship last year and is looking to defend it this season. His was the car to beat and the rest of the pack have been doing some catching up over the winter. Craig had no intentions of resting on his laurels though, and for this year he had a trick turbo fitted, one that would give him more boost higher up the rev range where the aspirated M3s tend to catch him up. Back it came for mapping and while the boost at max revs was holding up, all the low-speed torque had disappeared. This explained why Craig had been struggling out of the corners this season in spite of the lower gearing and new dog gearbox. I don’t pretend to know a lot about turbos but, as the saying goes, I know a man who does. Actually that should read several men and they all work at Turbo Technics in Northampton. The car had to go to that neck of the woods for some suspension setting up so the turbo came off and Pete and Pete at TT agreed to have a look at it. TT rebuild turbos and sell the kit for other people to rebuild turbos and Geoff, who runs the company, has been doing it a long time; never any substitute for experience in my book. The turbo came to bits and what the previous builder had done was machine off some of the exhaust turbine to provide a flow past the side of the turbine. The theory is that flow is relative to the pressure in the inlet manifold and the exhaust manifold. It is the pressure difference that gives the flow. By by-passing the exhaust turbine you lower the pressure in the exhaust manifold at high rpm and therefore get more top end power – at the expense of low speed boost. Sadly you can always have too much of a good thing and this had been overdone. TT built Craig up a new turbo and back he came one week later for re-mapping. The difference was amazing. At 4000rpm (where Craig is exiting the corners) the new turbo had picked up 100 bhp! Top end was down but not that much. Being greedy by nature we spent some time getting the boost up at higher rpm and ended up with the best of both worlds; masses more power at 4000rpm and still holding over 300 bhp at 6000rpm. Craig went off to his first race on the new turbo. I had spent a bit of time on part-throttle mapping the boost and Craig said it was awesome to drive. He was consistently a full second under his previous club lap record. But, and it’s a big but, the turbo failed during qualifying so in spite of the qualifying speed it was a no show on the grid. Back at TT after much beard pulling the consensus was that I had over-speeded the turbo at 6000rpm to hold the boost up. Did I mention that a 36mm restrictor had to be fitted to the turbo intake for the race regs? Apparently this is what holds the boost back at high rpm (seems obvious; that’s why the organisers put it there). With yet another new turbo I had to back the boost off at 6000rpm and Craig is going to short-shift at 5,500rpm through the gears until we can gather more data and try to find an answer to the problem. I’ll keep you posted and Craig would like to say a big “thanks” to Pete and Pete for working late to get the turbo sorted. 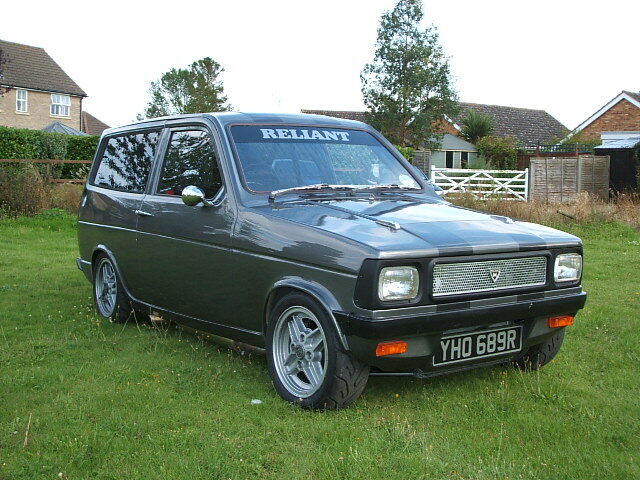 You have probably seen the Duratec-engined Reliant Kitten about in PPC or on the track at the PPC day in the Park at Mallory. It belongs to young Jono’s Dad. (That’s Jono with the Fiesta and the Piper Exhaust manifold and system covered in a recent issue). The owner/builder, Mal Lamsley, had his 2.3 Duratec built by BPJ Engines and Big Paul Jackson (BPJ get it?) uses ECUs from a rival company to us. Said company did the mapping and as a favour to Jon we ran it up to check the power output. It was around the 250 bhp mark and the fuelling was okay, everyone was happy. Then the engine went bang, a dodgy parts supply problem - nothing to do with mapping, and it needed a rebuild. Given the very restrictive exhaust on the Kitten (lack of space) Paul suggested a softer cam option because he said the top end would be the same but the mid-range would improve. Back the car came after the rebuild but Mal was very disappointed with the result. More mid-range power as promised but the top end was down to 227 bhp; still a lot for a Kitten but not what it was. The timing of the rebuilt Kitten coincided with our building a new K6 ECU so we offered to put a K6 on the car and re-map to see if we could squeeze a bit more top-end from the new spec engine, after all with Jon working here Mal is “family”. I am happy to report that the new engine with softer cams made more top-end power than before as well as more mid-range from the new cams. This is NOT a case of the new K6 ECU making more power than the other maker’s ECU. No ECU will give you any more power over another make, regardless of how much you paid for it. The only difference is in the setting up, unless that is you want to believe that our new ECU has “more sparkier” sparks and that mapping in Norfolk air is always superior to air from other parts of the country. Mal was over the moon with the new found power for about a week and now it maybe needs just a bit more power. Cars always need a bit more power if my experience is anything to go by! I know I keep saying this, but just when you think you have seen it all, something new comes along to bite you in the bum! We had our first Ariel Atom in for mapping and this one had a turbocharged K1800 in the back. It ran dreadful when it came in and wasted more fuel than a BP oil pipeline leak. The misfiring on anything other than light throttle was appalling. This one took a while to track down but the big clue was that the engine misfired whenever the boost started to come in. My theory was that the boost was putting the spark out so by disconnecting the turbo outlet we ran it as an aspirated engine. It revved clean but somehow didn’t “feel right”. I have learned to trust my instincts so we started to look at the coil firing, using a timing light aimed at a dark patch of the car. Sure enough, the spark was going out when the misfire occurred. I’ll cut a long story short; someone had set up the software for two coils fired together (as in Porsche flat six with two distributors and 12 spark plugs). That’s the problem with having a system that is easy to adjust for different engines; there’s more to get wrong! All four plugs had been charging and firing at the same time, putting a ridiculous strain on the coils. Once re-set to wasted spark the engine behaved perfectly and the fuel consumption was soon sorted. Another first for me was setting up this Morgan race car. It was an ignition-only jobby with Weber carbs. Setting the ignition is theoretically a simple job, but if the mixture is out and the engine misfires you can’t hold a steady bhp reading in order to set the timing. This one wasn’t too bad but we obviously had an engine restriction somewhere because it made nothing like the power an 1800 Zetec should. The silencer was suspect – probably a collapsed catalytic convertor or the stuffing had all fallen in. Getting on a bit I quite like to take the odd trip down memory lane - my Norton motorcycles from the sixties are a prime example of everything great about the “good old days”. Bloody 15- year-old ECUs are another story. I had to find an old 386 lap top and some old software to map this Vauxhall engine. Eight load sites and every 500 rpm and very little to adjust apart from fuel and spark timing. Although I curse every time this car comes in it actually isn’t that bad and it still works better than carbs any day of the week. I guess I have just been spoilt by all the mapping toys available these days.